Climate change doesn't cause hurricanes, floods or droughts, but it does exacerbate them. The link between the environment and humanitarian emergencies — and how young people are going to court to address the increasing risks to children who are already vulnerable. 2017 was the costliest year on record for climate-related impacts, from mudslides, wildfires, hurricanes and heat waves, to severe drought and related famine and food crises across Africa and the Middle East. Though the economic fallout of climate-related disasters affects everyone, it's by far the children who suffer the most. This year could be even worse. Temperatures reached record highs in June and July. The World Meteorological Organization (WMO) reports that the first six months of the year have made 2018 the hottest La Niña year on record. From North America to East Asia, and from the Arctic Circle to Europe, large parts of the globe have experienced heat waves, droughts, wildfires, floods, and landslides resulting in environmental damage not to mention injury and loss of life and livelihoods. If the drenching rains and massive storm surges of Hurricane Florence are a harbinger of hurricanes to come, Central America and the Caribbean, could be in for a rocky couple of months even as they still continue to recover from the devastating 2017 season. Last year, in the West, Harvey, Irma, Jose, Katia and Maria devastated communities across the Caribbean, wreaked havoc in parts of the U.S. and Central America and affected millions of lives. As the storms raged, forests in the U.S., Canada, South America, Russia and across Europe burned. 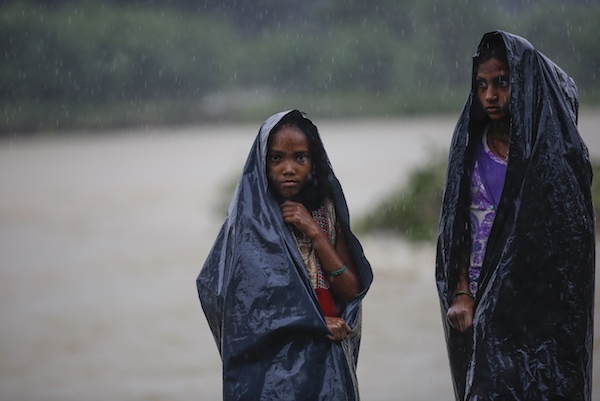 In the East, torrential monsoon rains caused massive flooding in three countries in South Asia, leaving nearly 16 million children and their families in crisis. While individual weather events cannot specifically be attributed to climate change, the increasing frequency and severity of extreme weather line up with reports on how the impact of humans on the global climate. As debate over the cause of extreme weather drags on, children, fearing for their futures, are taking legal action to force adults to address what they believe is the cause: climate change. Here in the U.S. 21 young people who won the right to have their pioneering lawsuit against the U.S. government on global warming heard in court will finally have their day in court on October 29. The U.S. Government's efforts to stop the climate change suit, which accuses the government of endangering people by encouraging fossil fuel development, have been repeatedly blocked by the courts — most recently by the Supreme Court's summer ruling that the suit filed by the plaintiffs, who range in age from 11 to 22, charging that the government's failure to curb fossil fuel production violated their constitutional rights must go ahead. Meanwhile, children and young people in Columbia, Belgium, Norway and the Netherlands are successfully pushing legal suits through the courts to hold their governments accountable for the harmful effects of climate change. What’s fueling these David and Goliath – esque efforts to force the world’s courts to take action? Young people see their peers around the world paying the price for past generations’ inaction — and believe that it's up to them to help. Young people see their peers paying the price for past generations' mistakes and believe it's up to them to help. Popular opinion in the U.S. increasingly seems to agree. A study released this summer by ABC News and Resources for the Future, a Washington, D.C.-based research organization, showed that the proportion of Americans who say the issue of global warming is extremely important to them personally is at an all-time high: 20 percent (up 7 points from 2015), with 56 percent saying it’s either very important or somewhat important. Further, despite U.S. withdrawal from the Paris Climate Agreement, some 81 percent of respondents believe that the country should comply with the agreement’s target for cutting greenhouse gases that trap heat in the Earth’s atmosphere. Corporate American seems to be falling in line, too. Nearly 500 American companies — McDonald’s, Walmart and Levi Strauss & Co. — are rallying behind climate actions by adopting science-based emissions targets in line with the Paris Climate Accord, according to the global nonprofit Business for Social Responsibility. Hopefully this shift can spark action to forestall environmental scientists' worst fears. According to the Intergovernmental Panel on Climate Change (IPCC), a coalition of experts considered to be an international authority on climate change and its impacts, recent events match what scientists had predicted would happen based on a comprehensive review of all available research. And what's more, the IPCC notes on its website, "the range of published evidence indicates that the net damage costs from climate change are likely to be significant and increase over time." Meanwhile, millions across the globe — including millions of children — are already paying the price. The recently released report United Nations report The State of Food Security and Nutrition in the World cited climate variability's impact on rainfall and agricultural seasons as well as such climate extremes as droughts and floods as among the key drivers behind the rise in hunger. The report finds that nearly one in nine people around the world is undernourished — and the numbers are growing — issuing an urgent appeal to accelerate and scale up actions to strengthen resilience to changing climate variability and increasing extremes. Droughts have multiple effects on families and communities. Crops fail, livestock die and income drops, leading to food insecurity for the poor as well as rising food prices globally. Water becomes scarce and the lack of food and water, as well as inequitable access to these necessities, can result in migration and social disorder. The most vulnerable victims are always children. The kind of severe flooding that overwhelmed parts of Nepal, India and Bangladesh earlier this summer poses a different kind of threat to children's health and well-being. Floods wash away sanitation systems and contaminate the water supply, bringing cholera and other killer diseases. 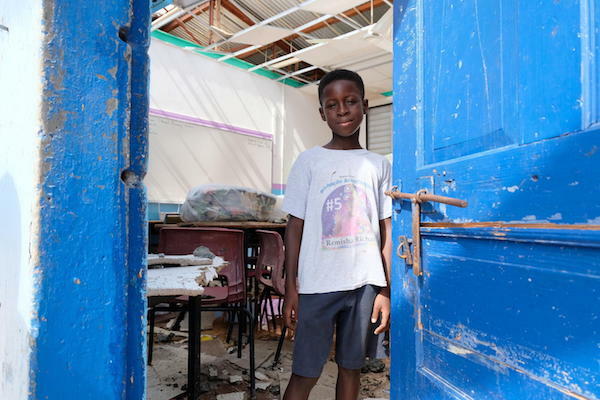 Floods force schools to close and families to relocate, disrupting kids' educations. UNICEF leaders have long advocated for the international community to band together to address the effects of climate change and reduce the risks for children. Thirsting for a Future, published in March 2017, makes several recommentions, including: Invest in good analysis and and apply robust technical standards to the design of water and sanitation systems, to make them more resilient to extreme weather events. 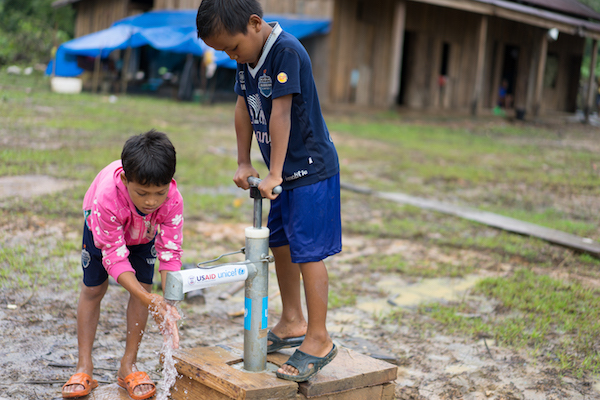 Help communities diversify their water sources, and increase capacity for safe water storage. Assist governments in developing policies that plan for — and enable high-risk populations to adapt to — changes in water supply and demand. While it continues to seek collaborative solutions, UNICEF remains among those first on the ground when natural disasters strike. Last year alone, UNICEF responded to 337 humanitarian emergencies — from conflicts to natural disasters — in 102 countries. Working with local partners, UNICEF steps up where help is needed most, delivering urgently needed supplies like safe drinking water, hygiene sanitation kits and medicines. Trained staff offer psychosocial support and educational materials to get children back to learning and playing as soon as possible.